As an organization, we have spent the last ten years working to bridge divides – between Republicans and Democrats, between the United States and the rest of the world – on some of the toughest national security challenges facing the United States. However, recent events both at home and abroad, including a series of national elections, have revealed an even greater divide between national capitals and their publics, especially on issues tied to foreign policy and trade. This disconnect is the driving force behind our new, ambitious nation-wide program in partnership with the Global Public Policy Institute in Berlin, Germany called “Across the Pond, In the Field” (APIF). Our plan is simple – to take CNAS on an epic road trip across the United States to engage with new audiences and gain fresh perspectives. Over the next three years, we will be visiting 12 different cities – from Pittsburgh, Pennsylvania to Salt Lake City, Utah – to discuss and debate some of toughest issues facing the United States and its closest allies. Do alliances matter? How does international trade impact local communities? What does the average American think about NATO, Europe, Russia and many other foreign policy issues? How can policymakers on both sides of the Atlantic be more responsive to the needs and concerns of their citizens? What is it that national capitals just don’t get? On each trip, we’ll be bringing two European and two American guests to engage with local communities through media and public events. We want to meet with a broad sector of American society in each city from college students to local politicians to business leaders to retirees. Our goal is to start a new series of conversations that will stretch beyond the usual policy debates inside Washington and other national capitals in Europe. Follow CNAS online as we inform and prepare the national security leaders of today and tomorrow. 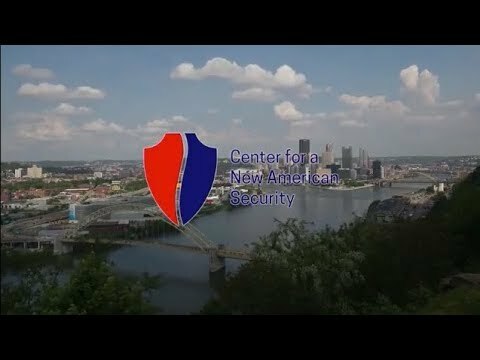 The Center for a New American Security (CNAS) is an independent, bipartisan, nonprofit organization that develops strong, pragmatic, and principled national security and defense policies. Follow CNAS online as we inform and prepare the national security leaders of today and tomorrow. Small bites on Transatlantic Security, NATO, the EU, Russia, and all things Europe. Hosted by Julianne Smith and Jim Townsend at the Center for a New American Security. Curated by the CNAS Transatlantic Security Team, the Dish will send you the latest in all things tied to transatlantic relations straight to your inbox every Tuesday morning. Please subscribe below! Across the Pond, In the Field is made possible by the Transatlantic Program of the German Federal Government through funds of the European Recovery Program (ERP) of the Federal Ministry for Economic Affairs and Energy. Additional funds provided by the Robert Bosch Stiftung. CNAS is working in conjunction with the Global Public Policy Institute in Berlin, Germany.